In this Oracle Siebel vs. Salesforce faceoff, one consultant says Siebel users have more options without paying much more than Salesforce customers. This is one side of a Siebel vs. Salesforce.com debate. The other side argues that Salesforce.com is inventing a future that Siebel wants to be a part of. There is no fair debate when it comes to Oracle Siebel vs. Salesforce.com because it is not a true apples-to-apples comparison. Siebel is a multi-faceted, enterprise customer relationship management (CRM) product offering vertical functionality and platforms, while Salesforce.com is multi-tenant, offering limited scope and an environment that is less "risk-free" than popularly acknowledged. Having worked with both systems for years, for me there are pros and cons to each; every customer has specific requirements to consider. But, Siebel is far more robust, reliable and flexible. Both Siebel and Salesforce.com have a CRM component, but Siebel goes beyond Salesforce.com -- not simply in the sales, marketing and services aspects, but in its flexibility as well. Siebel offers a hybrid model for different organizations, giving them the option of working offline, on-premises, hosted by Oracle or hosted by the client organization. In addition, Siebel has multiple vertical options, including automotive, telecom and pharmaceutical, so the system can be applied to a specific industry or client's needs and has the functionality required for that industry's business processes. Siebel's platform provides capabilities for diverse industries without having to add on third-party products. Saleforce.com may tout "no software," but that's not completely true. To do things such as email or integration with Outlook and other features, you need to purchase another app from their app exchange and install it. Siebel already provides this in its platform, offering a greater sense of integrity and reliability than its Salesforce.com counterpart. Not only does Siebel focus on CRM, it has E-Commerce, E-Support, loyalty programs and partner relationship management (PRM) capabilities, granting partners and vendors access to much of the functionality of the application supporting true collaboration. Everything is at one's fingertips without having to develop or purchase add-ons. Salesforce.com starts at $65 to $75 per user per month, but that does not include any integrations. It lacks reporting or any features that a true enterprise customer would want, which automatically bumps the price point to a minimum of $125 per user per month. Salesforce.com appears cheaper than Siebel, at least initially. However, over the long run, that argument is inconclusive. Let's take Siebel on-premises. Initially there is an IT expenditure when you buy licenses and servers. But over a three- to five-year period, Salesforce can cost more. That's because you never own it. You are essentially renting storage space in an application from Salesforce.com. Even if you keep your IT costs flat and you pay the same per month and can forecast pricing out for the rest of the contract period, at the end of the contract when it comes time to renew, you have no control or say in price increases. You could end up paying more for Salesforce.com than you would for Siebel; you just have to decide whether you want to pay for it upfront with Siebel or continue paying over time with Salesforce.com. Consider that renewal fees rarely go down. Siebel's value is greater because of the many options it has. If you want to add service functionality or self-service or e-service, it is there for you. If you want marketing or loyalty management functionality, that is also available within the existing Siebel framework. You can have industry-specific functionality all from one platform -- no need to jump from vendor to vendor to get what you want. Salesforce.com does not offer anything besides Salesforce automation; it does not offer support for different verticals. You have to implement third-party products to get email marketing, call center or customer service functionality. Now you are spending upwards of $200 or more per user per month to get what Siebel offers for less. Siebel's task-based user interface redefines how organizations complete sales, marketing and service tasks within the application. In terms of its delivery platform, Siebel remains at the forefront. An on-premises model is a natural fit for midsize and large organizations that want greater control over their technical environment. If Siebel updates its software, users can test it in a nonproduction environment until the organization is ready to upgrade. This is extremely important for large enterprises, especially when the CRM application is integrated with other internal systems as a part of order processing and customer service. With Salesforce.com, you are relatively limited in that sense. If you have what appear to be performance-related issues, you must log a support ticket with Salesforce.com, which may or may not find the problem. Even if the company finds the problem, there is little it can do about it because it will impact other users. Because Salesforce.com is multi-tenant, any change made specifically for one customer may negatively impact other customers. It can lead to a negative domino effect. Therefore changes cannot be made regularly based on any single user. Issues must be consistently evaluated to see what the overall impact will be on the environment. If a new customer comes to Salesforce.com and uploads 5 million new records into the database, chances are it could impact other customers as well. In an on-premises environment, any changes made will only impact you, giving your internal team the luxury of making necessary adjustments. Siebel users are not forced to upgrade as quickly. Oracle has limited lifetime support for various Siebel applications and versions. If you are on Siebel 8.1 currently, odds are you will be supported for a long time so you can stay on that path until you are ready to migrate to Siebel 8.2. If there is an upgrade to Salesforce.com, you are getting upgraded whether you like it or not and you will have a short, defined window to validate the upgrade before it goes into production. If you do not have those resources available at the time, you are out of luck. More importantly, you are not supported by one vendor any longer with Salesforce.com. You are with Salesforce.com, and with Partner A for marketing and Partner B for customer service. Who do you turn to when faced with a problem? If you are on Siebel and you have a problem with marketing, you call Oracle. If you have a problem with sales, customer service or Outlook, you call Oracle. You have one vendor for everything. When it comes to support, knowing exactly who to turn to when you have problems is huge, and problems inevitably arise with software. There is peace of mind knowing that you can just pick up the phone and call an Oracle support rep or log on to support.oracle.com. You know Oracle can take care of the issue because you do not have multiple vendor products. There is no easy answer when comparing products. Inevitably companies have to consider their particular circumstances and needs. Salesforce.com is riding a wave of popular demand for a variety of reasons. Certainly if companies have simple Salesforce automation requirements, then Salesforce is a strong contender. Most mature CRM users' needs are not that simple. Questions of ownership versus lease, performance in the cloud, data security, customization, CRM breadth within the product and control all need your consideration. 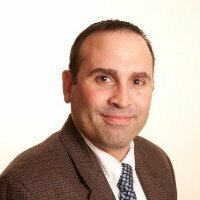 Scott Lefante is SaaS project manager for Eagle Creek Software Services, a U.S.-based IT consulting and technical services company specializing in Oracle CRM, information management and e-commerce. Siebel has been dead in the water for a long time. The Cloud CRM market todsy has much better players including SFDC, Salesboom.com and Netsuite. Think this guy is a little bit out of touch with Salesforce "integration with Outlook and other features, you need to purchase another app" hmm.. Salesforce for outlook tool? outlook sidebar? I question the credibility of this information considering it comes directly from a Oracle implementation partner whose success is tied to customer's deploying Oracle. This is a ridiculous article, your cost comparison is leaving out a few things with Siebel. Siebel has an expensive license renewal fee, anything you want to "turn on" will cost you extra per user and add to your renewal fee. The amount of hardware it takes to run the application is ridiculous.You have to babysit the application everyday to keep it running. Want to do an upgrade or major changes or add functionality, expect to pay a contractor a ton of money to implement any of them, if your lucky in finding a Siebel expert. And lets talk about support, have you ever had to deal with Oracle support?? It's funny how no one gets the point of a "face off" Each person is tasked to argue to merits of one vs. the other. The goal of a face-off is not to preach about the merits of the opposing stance. Both of these people stances have merit and each type of software has merit for organizations that use it. Hmmm... How about CRM case management is Salesforce? I'm not talking about anything related to campaign management, but about actions touching an individual person in CRM db. E.g. CRM of a hospital n which a patient is handled within case management with various data inputs to the record. Not that easy with Salesforce (? ).